Elias Harden is off the board to Xavier. A 6-foot-4 shooting guard, Harden averaged 15.2 points and 5.7 rebounds per game at the Adidas Circuit finale. "I want to start off by thanking God for everything with out him none of this would be possible," he said Wednesday on Twitter "I wanna thank my family, coaches, and close friends for motivating me and pushing me to the fullest. The recruiting process was not EASY AT ALL! I wanna thank all the coaches that took time to recruit me….With that being said I will continue my academic and athletic career at Xavier University." Bill Murray has been supporting his son, Xavier assistant Luke Murray, and the Musketeers for much of this season. But the famous comedian won't advance to the Sweet 16 with Xavier after they were stunned by Wisconsin on Sunday night. Bronson Koenig hit two 3-pointers in the closing seconds, the last of them as the buzzer sounded, as Wisconsin edged Xavier 66-63 on Sunday night in the second round of the NCAA Tournament. Back in October, Xavier was picked to finish fourth in the Big East Conference by the league's coaches. Villanova, Georgetown and Butler were all picked ahead of the Muskeeters. How's that one working out? J.P. Macura got Xavier rolling with 19 points off the bench, and freshman point guard Edmond Sumner had 19 points and nine assists as fifth-ranked Xavier got the win that had eluded it, knocking off top-ranked Villanova 90-83 on Wednesday night. The Musketeers (25-3, 13-3) led most of the way in the first matchup of Top 5 teams since the Big East was reconfigured, pulling away at the end against the only team they'd never beaten in league play. NEW YORK--- It's coming any day now. That was the refrain St. John's coach Chris Mullin and his team was singing on Wednesday after the Red Storm's 74-66 loss to 10th-ranked Xavier at Carnesecca Arena. The Johnnies (7-9, 0-3 Big East) have dropped six straight contests, including their first three Big East games, with their last victory coming on Dec. 13 against Syracuse at Madison Square Garden. Xavier freshman guard Edmond Sumner did not suffer a concussion during Thursday's collision in the Villanova game and is listed as day-to-day, head coach Chris Mack told reporters Friday. He did not practice Friday and it remains unclear if he will play Saturday when Xavier hosts Butler. "As soon as he's ready to play, he's going to play," Mack said, according to beat writer Shannon Russell of the Cincinnati Enquirer. "He's day-to-day." Unlike a year ago, there is no dominant team in college basketball this year. Last season, of course, Kentucky began the season 38-0 before losing to Wisconsin in the national semifinals and was the dominant team throughout the season. Adam Zagoria and Josh Newman dish out another episode of The 4 Quarters Podcast, covering college hoops, recruiting, and the NBA for SNY.tv. First up, Xavier coach Chris Mack calls in to talk about his team and the season ahead in the Big East. Then, Mike Waters of the Syracuse Post-Standard joins the show to share all the latest on Jim Boeheim and the Orange. Later, South Kent coach Kelvin Jefferson talks about the big name prospects in his program, and then the show wraps up with a full recruiting roundup. UConn has lost three players from last season's roster with TE E.J. Norris, T Xavier Hemingway and RB Joe Williams are no longer with the team and enrolled in school the university confirmed. Hemingway was arrested yesterday on a larceny charge, sixth degree, for an alleged incident in November. Details in the Daily Campus. Williams remains in legal limbo as his court case on larceny charges has lingered in the court system since September. ? The most hurtful ?loss is that of Norris, who played as a true freshman defensive end and then switched to tight end last season. Hemingway and Norris' situations are believed to be academic. Xavier is getting a player with a huge upside in 6-foot-10 Makinde London, according to Montverde (FL) Academy assistant Rae Miller. "He's a stretch four man, he can play some five," Miller told SNY.tv. "He's a face-the-basket kind of guy, not a back to the basket. He can shoot the ball with range. He's a kid that has a very, very good upside. "He's 6-10, athletic enough and he can handle some ball. He grew about eight inches over the last two and a half years, so he has some ball-handling skills, some passing skills." [sny-box]The Giants have a very smart front office. Like the Steelers, Packers and Ravens, they catch falling prospects. A player or two mocked near No. 10 overall will fall on Draft Day because that's what always happens. These intelligent teams will snag that dropping prospect unless there's something really wrong with him. NEW YORK -- Kamall Richards is heading to the Atlantic 10. The 6-foot-6 small forward from South Kent (Conn.) verbally pledged to Xavier at the SNY studios on Tuesday, selecting the Musketeers over St. Joe's, Seton Hall, Providence and Penn State. Sam Davis, the father of Xavier recruit Myles Davis, has hired an attorney to battle the NCAA after his son was declared ineligible for the upcoming season. Sam Davis told SNY.tv he has retained Stuart Brown of Ice Miller LLP in Indianapolis to handle the case. "We have retained a law firm to see if could do something about this decision by the NCAA," Davis said. "This firm has dealt with issues in the past against the NCAA and they feel that there be a chance to change the ruling." GREENBURGH, N.Y. -- Growing up in Hempstead, N.Y.,?Tu Holloway?had to rely on his grandmother, Mary, to put food in the refrigerator. But the way he figures it, if he gets chosen by the Knicks or the Nets in the NBA Draft, Holloway will be able to do the providing in his household. Former Xavier guard Mark Lyons is focusing on three schools and is in the process of setting up visits. "I'm thinking [about] UK, Arizona and Kansas," he told SNY.tv Monday by phone. No visits are currently set up for the junior transfer. Chris Thomas chose Xavier earlier this month largely because of his relationship with assistant coach Rasheen Davis. But now Davis is on the move to Manhattan, which begs the question, What does that mean for Chris Thomas? "He is still committed to Xavier and will continue to be for now," his grandmother, Latonia Smith, told SNY.tv by text Saturday night. Over the last couple of days, UConn junior power forward Alex Oriakhi?met at his Lowell, Mass., home with Kentucky coach John Calipari, Xavier coach Chris Mack and Missouri coach Frank Haith. Oriakhi later confirmed a report by CBSSports.com that he plans to visit Missouri next weekend (April 13) and Kentucky the following weekend. Kentucky, Xavier and Missouri are offering major playing time next season, Oriakhi told SNY.tv, and he is also considering North Carolina and Duke. Chris Thomas, the Rivals No. 1 shooting guard in the Class of 2013, has committed to Xavier. He will have three years of eligibility beginning in 2013. "I think it came down to his relationship with Coach [Rasheen] Davis the past few years," Chipola (Fla) College assistant Pat Blake?told SNY.tv . "With all the moving around that Chris has done, I think Coach Davis had been the consistent presence and consistent coach in his life. Three schools are working the hardest on Chris Thomas, the Rivals No. 1 shooting guard in the Class of 2013. "Xavier, Missouri and Iowa State," Latonia Smith, Thomas' grandmother, told SNY.tv Thursday by text. Asked if Kentucky or Seton Hall were involved, Smith added, "I haven't spoken to a coach from those universities in months." Sean Miller wanted to defend his former guys at Xavier. Instead, he ended up appearing to condone their bloody brawl Saturday with Cincinnati that left eight players on both teams suspended. Now, the Arizona coach is backtracking. In a big way. Cincinnati and Xavier announced the suspensions of a combined eight players?for their participation in Saturday's bloody brawl at the conclusion of their men's basketball game. Cincinnati's?Yancy Gates,?Octavius Ellis?and?Cheikh Mbodj?will each be suspended for a total of six games -- meaning they are out until the Jan. 4 Big East game against Notre Dame -- and?Ge'Lawn Guyn?for one game. The suspensions will take effect immediately and will be concurrent with the NCAA-standard one-game mandated suspensions that would be applied to Gates and Mbodj for ejections from the game for fighting. The game between No. 8 Xavier and crosstown rival Cincinnati was called with Xavier up 76-53 and 9.4 seconds left when the teams got into a full-fledged brawl on court and the referees called it. After Xavier's Tu Holloway jawed with the Cincinnati bench, a brawl ensued. Cincinnati forward Yancy Gates unloaded a punch to Xavier center Kenny Frease's?face, and Cincy big man?Cheikh Mbodj later?stomped on Frease's head. Frease was left with a cut under his left eye and blood pouring out. Count Xavier assistant Rasheen Davis among the top recruiters in the nation. Davis is the man responsible for getting Dakari Johnson, the No. 1 player in the Class of 2014 according to The Hoop Scoop, on campus for a second time this weekend. The news was first reported by Alex Kline of The Recruit Scoop. Johnson is on campus Friday night for the game against Georgia while he visits family in the area, Montverde coach Kevin Boyle told SNY.tv. NEW HAVEN, Conn. -- Xavier coach Chris Mack didn't set up the schedule at the National Prep Showcase, but he might as well have. Mack showed up on Saturday and got to watch all four Xavier pledges at the event in three successive games. "It's very convenient," Mack told SNY.tv. "The fact that they play back-to-back-to-back, you'd almost think I coached the director into scheduling that way." Myles Davis is headed to Xavier. The 6-foot-2, 193-pound shooting guard from the Playaz Basketball Club and Notre Dame Prep opted for Xavier over Pittsburgh, Georgetown and West Virginia. The news was first reported by Alex Kline of The Recruit Scoop. God is coming to Queens. God's Gift Achiuwa, a 6-foot-8, 240-pound power forward originally from Port Harcourt, River States, Nigeria, has signed with St. John's. Achiuwa, 20, chose the Johnnies over Washington. He also considered Cincinnati before the Bearcats landed another JUCO big man. There is no leader in the clubhouse just yet for Kyle Anderson, but Xavier may be outworking everyone else for the 6-foot-8 junior point guard from St. Anthony. Xavier assistant Rasheen Davis flew in to watch Anderson play two games in Newton, Mass. Wednesday-Thursday. Ever since Michael Chandler decommitted from Xavier on the first day of the early signing period last month, not much has been heard from the 6-foot-10 center from Lawrence North in Indianapolis. And according to his coach, Jack Keefer, there won't be any significant movement in his recruitment until he gets his test score in order. "He's got to get a higher test score," Keefer said Monday by phone. "If he can get that done, he'll be fine." NEW YORK -- Over the past several years, St. Anthony coach Bob Hurley has produced a number of high-major guards, from Dominic Cheek (Villanova) to Mike Rosario (Florida) to Tyshawn Taylor (Kansas). Now comes 6-foot-8 junior Kyle Anderson, the Paterson Catholic transfer who is ranked No. 1 among point guards in the Class of 2012 by Rivals.com. "Everybody's kind of peaking around," Hurley said Thursday as he was awarded the Joe Lapchick Character Award at Madison Square Garden. "He's got a very long list of schools." Perhaps the biggest storyline coming out of the first day of the early signing period was Michael Chandler's decommitment from Xavier, which was first reported by Brian Snow of Scout.com. The 6-foot-10 Chandler had previously committed to Louisville and then pledged to Xavier during a late-October visit. Word on the street is that UConn may now be in the lead for the No. 4 center in the Class of 2011. Kyle Anderson was named MVP of the IS8 league on Sunday and he helped the Playaz with the championship over the Shooting Stars, 77-73, with 19 points, 12 rebounds and seven assists. Rutgers-bound point guard Myles Mack added 24 points for the Playaz and was named MVP of the final. But Anderson will have to wear a medical boot to heal multiple bruises located on the bones of his right foot, according to his father, Kyle Sr. He initially sustained this injury during a 3-point loss to the Drew Gooden Soldiers in the semifinals of the Fab 48 in Las Vegas last July. He will wear the boot for a approximately 3-4 weeks. The 6-foot-8 Anderson will still make scheduled visits to Xavier (Nov. 5) and UCLA (Nov. 12). Xavier got its second major commitment of the weekend when 6-foot-10 Mike Chandler verbally pledged during an official visit. ?I really want to go in there and help them do special things,? he told the Indianapolis Star. ?I want to help them go to a Final Four.? Chandler, the No. 4 center in the Class of 2011 out of Indianapolis Lawrence North, also considered Providence, UConn and Indiana. This has turned into a big recruiting weekend for Xavier and head coach Chris Mack. D'Vauntes Smith-Rivera, the No. 3 shooting guard in the Class of 2012 out of Indianapolis North Central, committed to Xavier during a campus visit. ?D?Vauntes chose X for a lot of reasons,? Kelana Rivera, Smith-Rivera?s mother, told Jeff Borzello of NBE Basketball. ?One, that they believe in him so much and he believes in them. The pieces that they are putting together will be exciting. After all the campuses and coaches that D has seen, X feels like home to him. There are lots more reasons, but that?s the gist of it.? Former Monmouth forward Travis Taylor is headed to Xavier, multiple sources with knowledge said. The 6-foot-7 Taylor, a Union, N.J. native, visited Xavier this past week and made the call. He will have to sit out a season per NCAA regulations. While LeBron James' Skills Academy and the Adidas Invitational in Indiana were huge grassroots events this week, another camp got coaches, fans and top players to participate. The Hoop Group was hosting its annual elite camp and as usual, did not disappoint. The camp takes place at Albright College in Reading, Pa. With boatloads of discovered and undiscovered talent all around the East Coast, this four-day camp brings out the best in everyone who participates. Ever since Maurice Harkless broke the news of his decommitment from UConn on ZAGSBLOG June 21, his stock has been soaring. The 6-foot-8, 187-pound Queens native is currently at the Hoop Group Elite Camp in Reading, Pa., where he was the first small forward chosen in the draft of players. His team includes fellow South Kent (Conn.) forward Derrick Randall and Shaq Thomas of NIA Prep. St. John's head coach Steve Lavin and Rutgers head coach Mike Rice are among those following Harkless around the Albright College campus. JaKarr Sampson says he has an idea where LeBron James is going, but isn't certain where he himself will wind up. Sampson is a 6-foot-7, 193-pound power forward from Akron (Ohio) St. Vincent-St. Mary, LeBron's high school alma mater. Sampson has spoken with King James several times when LeBron returns to the high school for practices, workouts and to watch games. Should Recruits be Released from Letters of Intent? NEW YORK - West Virginia's Devin Ebanks and Xavier's Terrell Holloway are thrilled to be playing in the Sweet 16 this weekend. Truth is, they are both thrilled to be playing at their schools, period. Ebanks and Holloway, New York City area stars from the Class of 2008, both originally signed Letters of Intent to attend Indiana. But both - knowing that then Indiana coach Kelvin Sampson had already left one school (Oklahoma) for another (Indiana) - added provisions, saying they would be released from their commitment if Sampson were no longer the coach. Their concern about Sampson proved fortuitous. Sampson did not leave for another school but he was forced to resign in the wake of a phone call scandal. Both Ebanks and Holloway were released from their commitments. 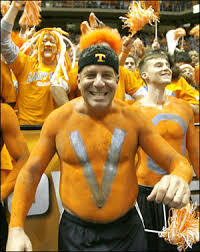 Bruce Pearl lost a top commitment recently when?2010 point guard Josh Selby decommitted from Tennessee while Pearl was coaching Team USA to a gold medal in the Maccabiah Games in Israel. Rumors flew that coaches from other programs were whispering into Selby's ear and taking advantage of Pearl's absence. Selby is now being recruited by everyone from Kentucky to Kansas to UConn to Maryland. New York City star Doron Lamb says Kentucky will be among his Final Five when it comes time to take visits. "I have a good relationship with [assistant] coach [Orlando] Antigua and [Rod] Strickland," the 6-foot-5 Lamb told Jody Demling of the Louisville Courier Journal. "Coach [John] Calipari called me, and we talked a long time. He's a good guy; they'll be in my final five for sure. "They make pros, and that's what I want to be." Former Florida forward Allan Chaney of Baltimore committed to Virginia Tech on Sunday. "The coaches were great there," Chaney said. "Coach [Seth] Greenburg is a great coach and a great person. I felt like I could fit in there. The style of play fits me. The players were real cool and one of my friends [Malcolm Delaney] goes there. He is on the team and told me a lot about the school and basketball. My mom loved the campus she felt the coaches were trustworthy. "I loved the campus also. I think it's the right move." Former Fordham wing Mike Moore committed to Hofstra on Friday night. "I did it last night," Moore, a New Haven, Conn., native, said by phone. "I just liked everything. It was a good fit for me. I felt comfortable making the decision. I know the administration cared about basketball. I liked the facilities. It's a well-rounded athletic program." To the surprise of absolutely no one, John Wall is still considering Kentucky even after Eric Bledsoe committed to the Wildcats on Wednesday. "Yea," Wall wrote in a text message Thursday. The 6-foot-4 Wall is the No. 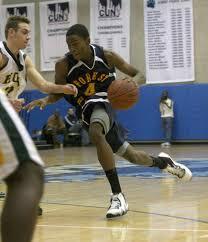 1 recruit in the Class of 2009 and is considering Baylor, Duke, Florida, Kentucky, Memphis, Miami and N.C. State. Kevin Parrom enjoyed his official visit to Arizona so much he made up his mind about college. "I committed just now," Parrom said Sunday by phone. "It was a great visit. I got to see the campus and see the fans and meet the academic advisors. It's a great place to be." A New York native playing at South Kent (Conn.), Parrom chose Arizona over Pittsburgh, where he visited last Sunday. He previously eliminated Xavier and Virginia Tech. Florida transfer Allan Chaney of Baltimore enjoyed his visit to St. Joe's and has a few more planned. "He was at St. Joe's yesterday [Thursday] and liked it a lot," said Chaney?s travel team coach, Calvin Bunkley. "He'll definitely be at Temple next week and Providence in two weeks." Another source said Chaney "thinks he will go to Temple, Providence and Virginia Tech and may not do a fifth visit." Former St. Patrick of Elizabeth standout Quintrell Thomas has narrowed his choices to UNLV, St. Joe's and Siena. The 6-foot-8 Thomas is transferring from Kansas and hopes to have a decision made by mid-May. He visited St. Joe's last weekend, heads to UNLV this weekend and then goes to Siena the following weekend. Markus Kennedy, a 6-foot-9, 250-pound junior forward from Living Faith Christian Academy (N.J.), will stay home for college. Kennedy, a Philadelphia native, chose Villanova over West Virginia and Temple during a press conference Wednesday at his school. "I just loved the coach and the team and everything about the campus," Kennedy said by phone. "Coach [Jay] Wright really cares about the players. He just doesn't care about winning basketball games. He cares about their future." Kevin Parrom has set his list of visits and he will be busy the next several weekends. "I am at [the] airport on my way to Pitt," Parrom wrote Sunday morning in a text. "Next weekend I go to Arizona. And the weekend after that I go to Va. Tech." He will also take unofficial visits from his South Kent (Conn.) school to Providence and Rhode Island later this week.